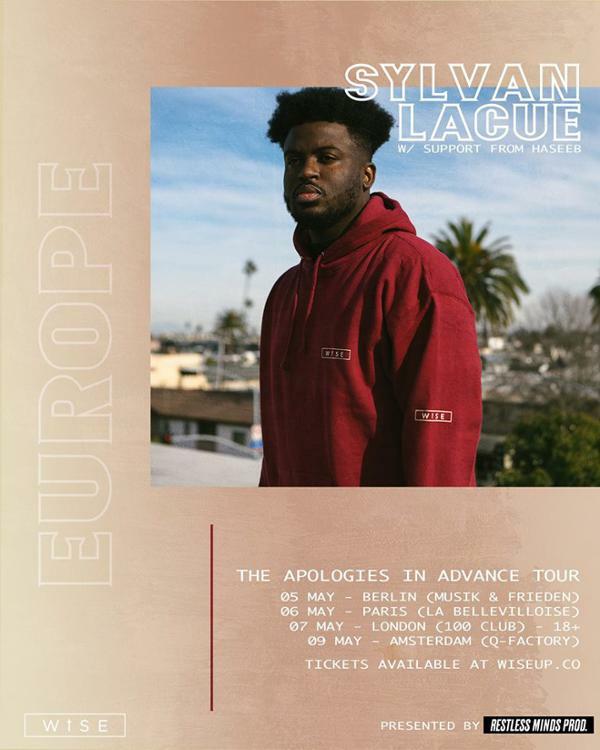 Sylvan LaCue en concert à la Bellevilloise lundi 6 mai 2019. The success of single’s such as Best Me, Grateful, Guilt Trip, Selfish, & 5;55, have taken Sylvan’s career into high form. Described as a 12 step program towards growth & acceptance, Sylvan’s candor towards emotional, physical, & mental health have allowed him to carve out his own lane with honest music about human nature, finding his purpose, and being open in his lyrics about the ‘not so perfect’ parts of life.